A Politico report says Environmental Protection Agency Chief Scott Pruitt had a simple task during recent Congressional hearings, which was to keep his conservative backers happy. In turn, that may keep the president happy. Democrats and environmentalists panned Pruitt’s job performance as the EPA head is facing a number of ethical and spending questions. Most Republicans seemed pleased enough with his performance that he may have saved his job, for now. However, President Donald Trump hasn’t weighed in with his thoughts yet. Pruitt’s shifting answers to questions about controversial staff raises for two of his aides raised concerns that he hasn’t been completely up front. 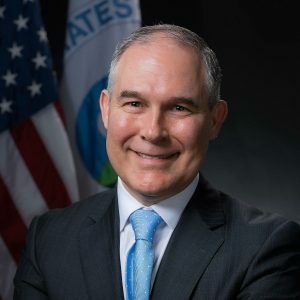 Pruitt also used the two hearings before lawmakers to blame his torrent of scandals on EPA career staff.